Ahmed al-Raissouni was elected president of the Doha-based International Union of Muslim Scholars (IUMS) on Wednesday. 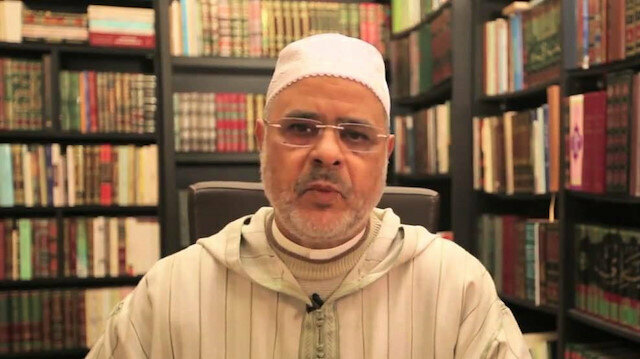 Al-Raissouni will replace Youssef al-Qaradawi. The IUMS gathered in Turkey’s Istanbul for a six-day convention to elect a new leader and board members, as well as discuss the problems troubling the Muslim world. The IUMS General Assembly has brought together more than 1,500 Muslim scholars from many countries such as Afghanistan, Bosnia and Herzegovina, Algeria, China, USA, Ethiopia, Morocco, Palestine, India, Netherlands, Iraq, United Kingdom, Canada, Kosovo, Libya, Lebanon, Malaysia, Russia, Pakistan, Senegal, Somalia and Turkey.